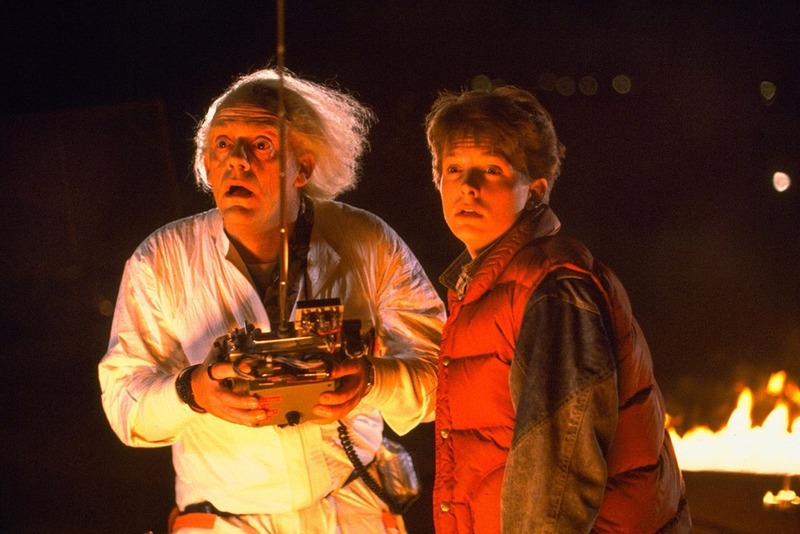 XTERRA Whitewater happened so long ago that we needed Doc and Marty to break out the DeLorean to help me put the race report together. So I dug through my closet and pulled out my Sony Walkman, some Huey Lewis from the tape box and hit play to help ease my nerves for reentry. Long story short, it was a successful trip and here’s how. I had promised folks that I would write it up but between the day job, training schedule, racing and, of course, leaving some time in there for the family, I just let the days and weeks get away from me. August and September are nothing but blurs. 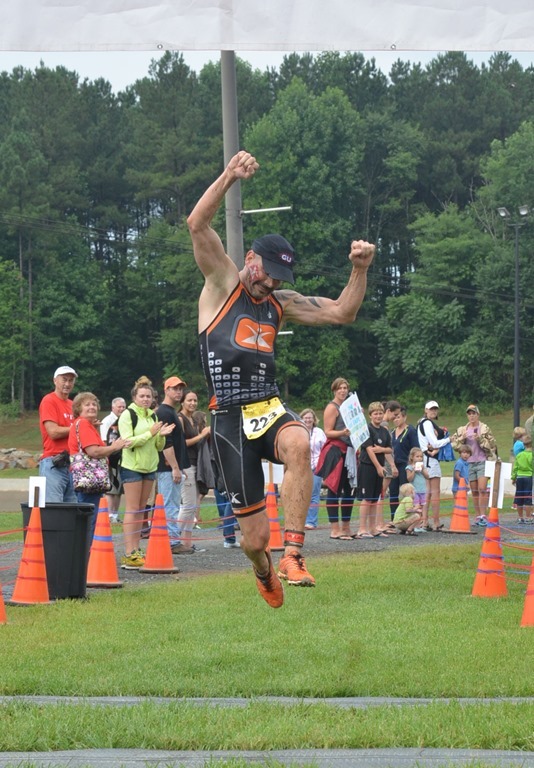 This lack of time was compounded by doing XTERRA Whitewater and XTERRA Panther Creek back-to-back. My thought was that I’d have time to get it done in the hotel at Panther Creek, but it just didn’t happen. Enough excuses. Let’s hear about the trip. Doc tossed me into the DeLorean and gave me a quick rundown of the clocks. We set it for July and with a “Great Scott” he sent me on my way. When I arrived, I realized that I hadn’t traveled back to July of 2014, but instead, July of 2009. Also, for some reason, I hadn’t re-entered onto my neighborhood street in Waxhaw. When I peered through the frosted windshield, I realized I was at Anne Springs in Fort Mill. 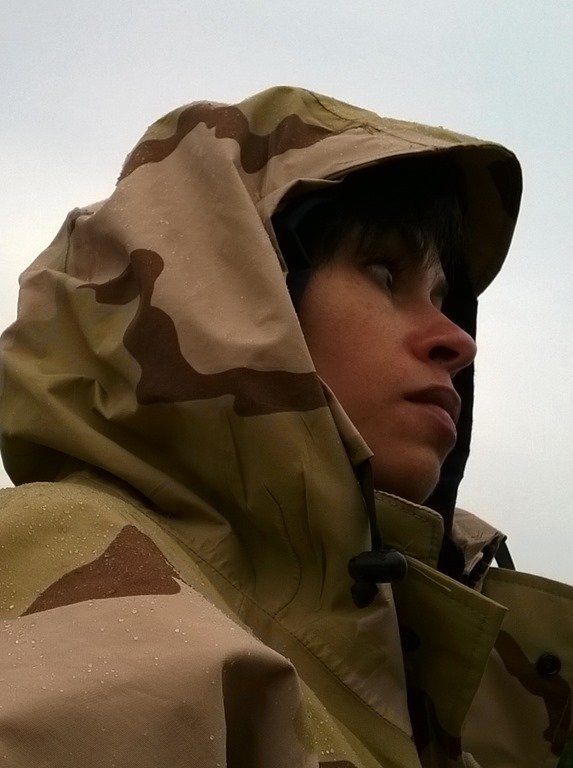 I stayed out of sight, trying not to let my past self catch a glimpse of me while I watched a race unfolding. 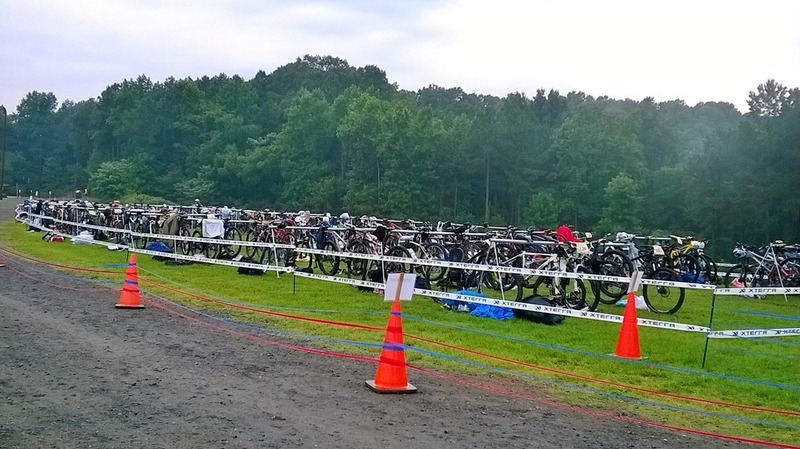 I realized that I had transported to the Fourth of July offroad triathlon that I helped create. 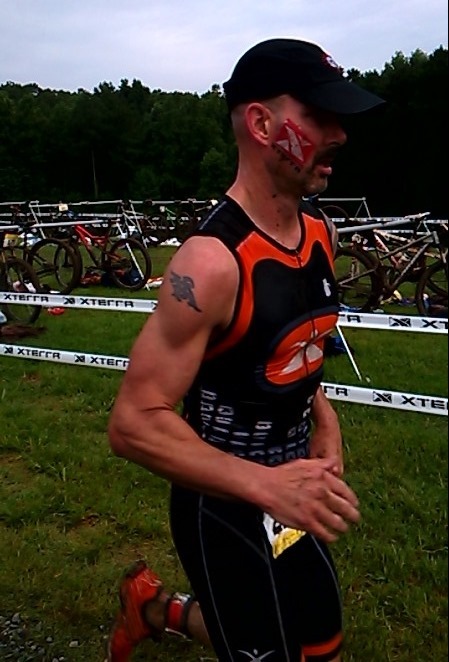 I had teamed up with Recon Fitness Adventures and my good friend Duke Speed to create a race that I always wanted to be an XTERRA. 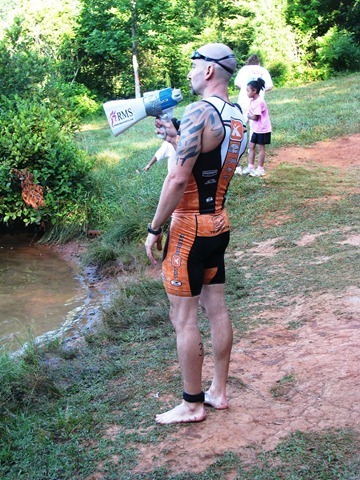 I thought it was a great idea of having XTERRA race in my back yard so I set out to help in any way I could. 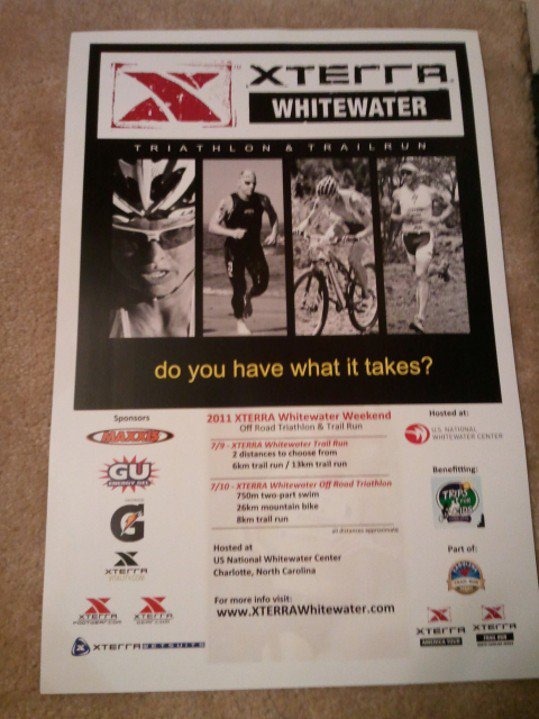 As that year progressed, we were well on our way of working out the deets with having one at the Whitewater Center. In the fall of that same year, Duke ended up moving out of town for work reasons. He apologized but I completely understood, and if I were in his shoes, would have made the same choice. There I was standing with a half-completed project making a decision to either step up or back out. I chose to step up. 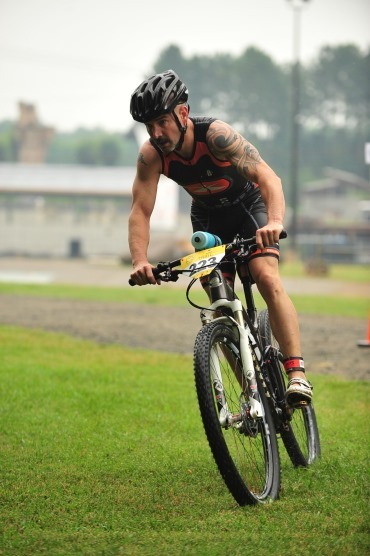 Sitting in the board room at the Whitewater Center, we devised what I consider to be one of the most unique and tough races on the XTERRA circuit. 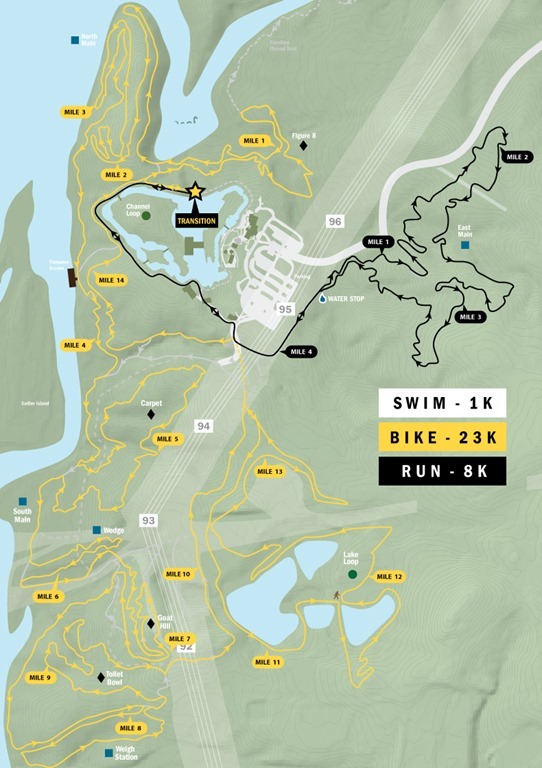 When attempting to come up with where to do the swim, we settled with the idea of using two different bodies of water by incorporating both the Catawba River and the manmade features of the Whitewater Center. I hopped back into the DeLorean with the intent to get my original goal accomplished: a race report. I tried my best to set the clocks and sped down highway 21 trying to get the thing up to 88mph as quickly as possible. A couple of flashes of light later, I was bolted into the future. During my drive from Fort Mill out to the Whitewater Center, I realized again that I hadn’t made it back to 2014. Instead, I had only advanced forward to 2011. 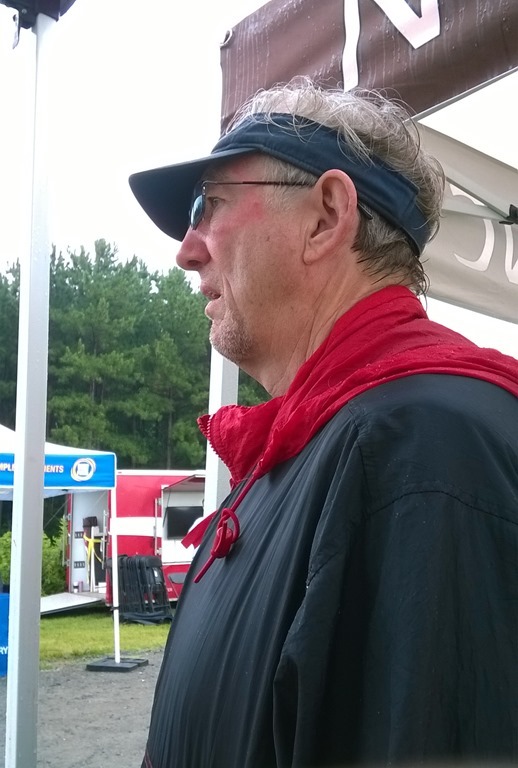 For the first two years, I race directed the XTERRA Whitewater race and had a blast doing so. I watched as racers came across the finish line with smiles on their faces, and although Alba and I were doing everything from spending hours packing goodie bags to running around like crazy on race day trying to make sure it went smoothly, we were smiling inside. 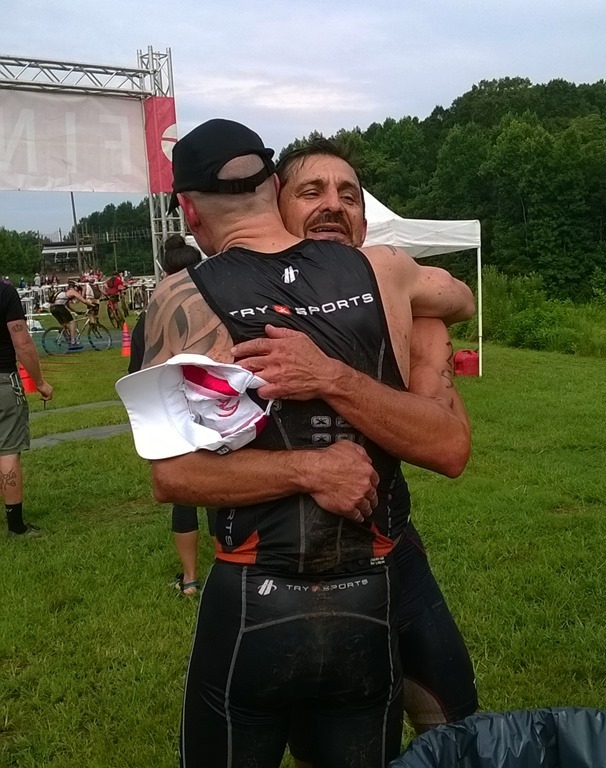 It was great to give back to our XTERRA family the same joy of racing that I had experienced. At the end of 2011, for various reasons, I turned over the race to the Whitewater Center and they’ve been running it since. Not wanting to unravel the very fabric of the space time continuum, I threw a few GU Gels and Chomps into the Mr. Fusion (packages and all) to fuel the DeLorean for another attempt to get back to the future. I set the clocks and took off, finally arriving to July of 2014. Finally, I can finish the race report. 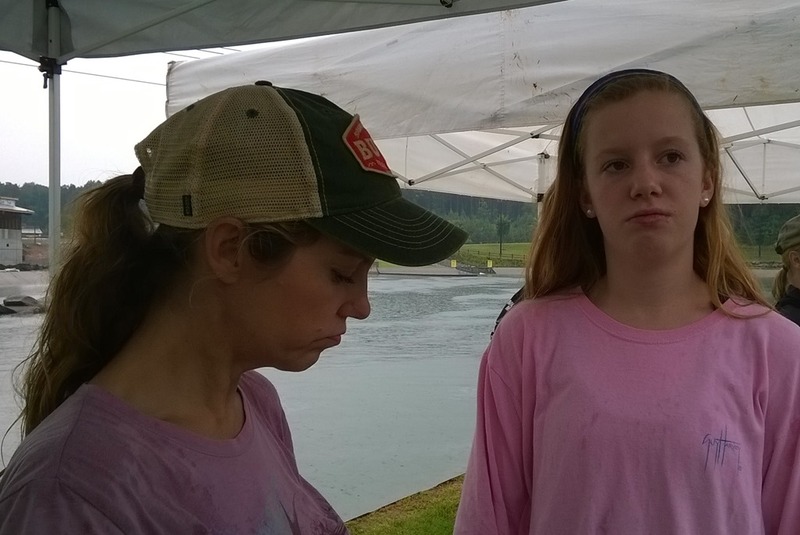 Since taking it over, the Whitewater Center has made a few changes to the race. The course has changed slightly since there are more trails out there now, but for the most part, it’s still the same, fun race. Race Director, Adam Bratton has also thrown in other great improvements which takes it up even another notch. I showed up early to setup for transition, but it wasn’t open yet. Having some time to kill, I helped out with race preparation with small things like breaking down empty boxes, putting together feather flags, or whatever Adam needed. 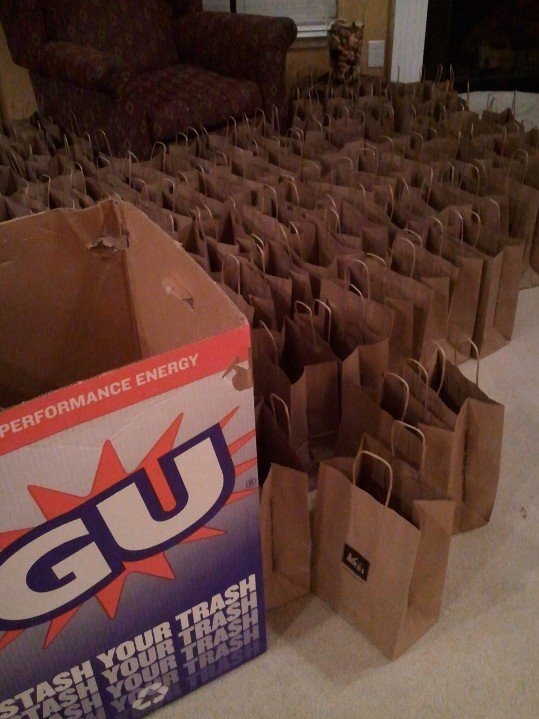 As soon as transition opened, I put my race cap back on and started my own prep. 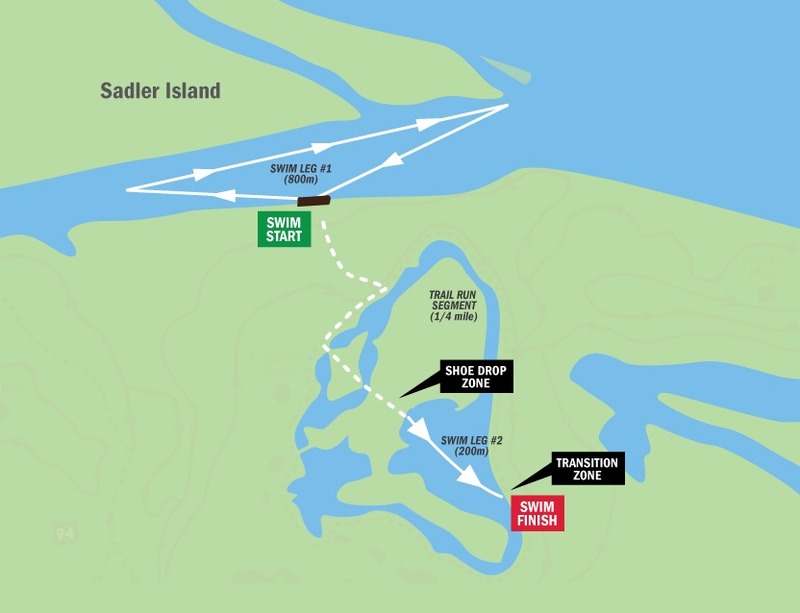 The 1000 meter swim was a two-part swim which started as a triangular course in the Catawba River that involves swimming downstream, right hand turn with a long leg upstream, then a right hand turn to swim back to shore. Even though you’re swimming upstream in the river, it’s not too bad as the flow during that time of morning is very low. Duke Energy controls the dams both upstream and downstream for power generation, and in the early morning hours, they’re typically closed off. 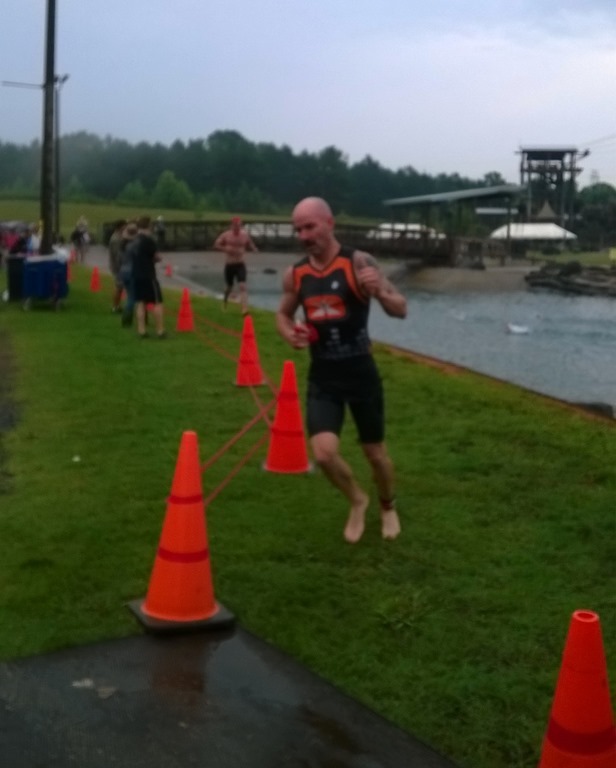 After a short, 500 meter (or so) run up to the manmade Whitewater Center holding pond, there’s a short 200 meter swim across the pond to the transition area. The Synergy Syn-Skin definitely helped keep me smooth through the water. Good thing, it helped to make up a little time as my swim skills, not being where they needed to be. With every second counting, I came out of the water in 9th place. I transitioned quickly with what I would consider a fairly textbook transition, just as I had demonstrated in the clinics I presented. I got out of transition in 34 seconds, grabbing the top spot for fastest T1. The 14 mile mountain bike course can simply be explained with saying it’s a blast. You get a little bit of everything. From technical, hand cut, switchbacks to machine-cut flowy, to hard punchy climbs, this trail system has it all. Most of the trails were built and maintained by the Tarheel Trailblazers before the Whitewater Center was built. Since it’s creation, the Whitewater Center has taken on maintenance and building responsibility under the careful, crafty and skilled direction of Lee Flythe. Having both a BMX and mountain biking background, Lee puts together some great trails and features. Most of the trails at the Whitewater Center have some pretty cool names. I headed out onto Figure 8 and tried to pass as many people as I could as quickly as I could. By the time I came out of Figure 8, I was in 2nd place. I saw Peter Lilly at the start of the Point climb. “He’s got a minute forty on you, Marcus,” Peter exclaimed. “Thanks, Pete!” I replied. Throughout the Point Trail, I didn’t see him in the switchbacks. It wasn’t until we were down by the river that I caught a glimpse of Greg Schott. Due to a few issues of me running off the trail and almost crashing, I didn’t catch him until Goat Hill. I passed him on the gas line climb and headed down the old downhill course using my brakes as little as possible. Even though it had rained the night before and on race day, the Schwalbe Tires hooked up despite the muddy conditions. I managed to keep up a good pace and steady speed with no issues with two exceptions. On the descent of Weigh Station, I decided to try a different line over the big roots and rocks. At one point I just knew I was going down, but managed to stay upright. A similar instance happened in the bottom of Toilet Bowl on a wet, rooty climb. I had to step off and almost fell over in the process. Thankfully I didn’t as it would have been into a patch of poison ivy. Coming into transition, I sucked down my last bit of GU Roctane Brew and finished the bike with the fastest bike split and in 1st place. I came into T2 smoothly but ran right past my rack. I literally skidded to a barefoot stop and had to backtrack to my rack. Not textbook at all. I still managed to get out of T2 in 30 seconds, but it was the 3rd fastest. Running 5 miles after a tough, hard effort on the bike was a chore. Luckily, the first mile or so of it is flat and on a gravel road, so it allowed me to shake off the bike legs and get into a running rhythm. I’ve never really liked the East Main trail from a running perspective because of all the switchbacks and punchy climbs. It’s just darn tough to get into a running rhythm. On the other hand, it adds to the challenge of the race, so from that perspective, it’s great. I was expecting to see someone catching me on the run, so I kept my eyes peeled. The one person I was truly expecting to see was Mr. Speedy Pants himself and good friend, Bjorn Erik Norman. He did have the blazingly fastest run split of the day, but I had enough of a lead on the bike that I didn’t see him. I kept the legs turning and finished the race in 1st overall. It was a surprise to me and was a bit bittersweet to win a race that I created. I guess with a lot of training and a lot of luck, it can be pulled off. Products used: TrySports Tri kit, GU Roctane and GU Brew, Schwalbe Rocket Ron Tire, Schwalbe Thunderburt Tire, Cobb DRT SHC Saddle, Synergy Syn-Skin, ESI Grips, Crank Brothers Candy 11 Pedals, First Endurance Multi-V.